Looking for a Thrill Tour? 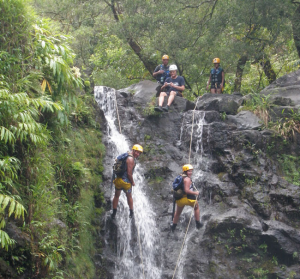 Rappelling down Maui’s beautiful Waterfalls is more thrilling than Zip-lining or Biking down the Volcano. This will be unique vacation experience! 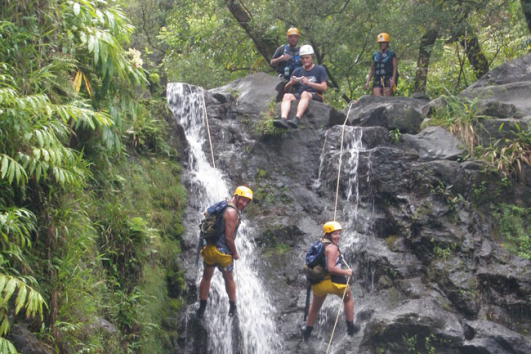 Rappel down the waterfalls on a privately owned valley on Maui, and become the Cannoneer you always wanted to be! 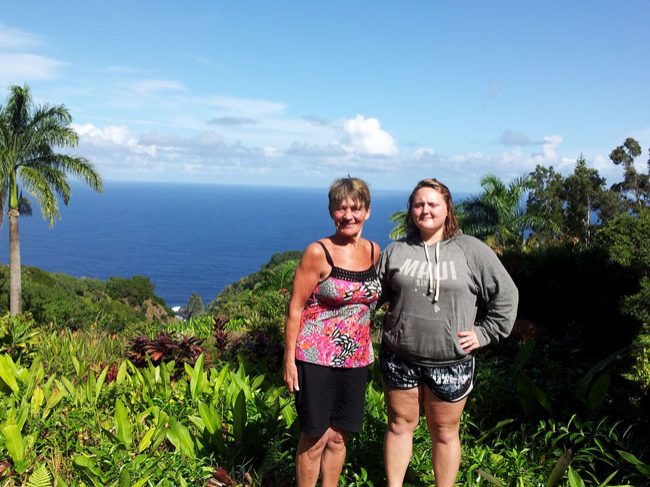 This adventure is located in the Garden of Eden on the Road to Hana. 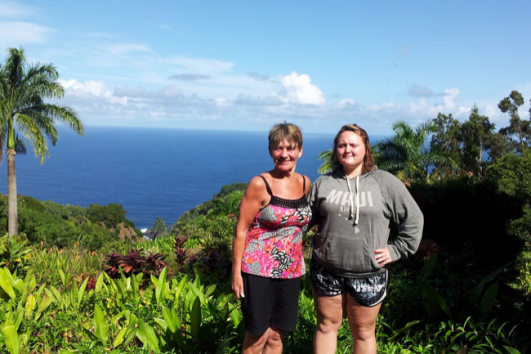 Meet at the park and ride, hop in the van and take off on your trip to the jungle side of the island, towards Hana. Here you will find beautiful waterfalls and the lush, green jungle like settings. 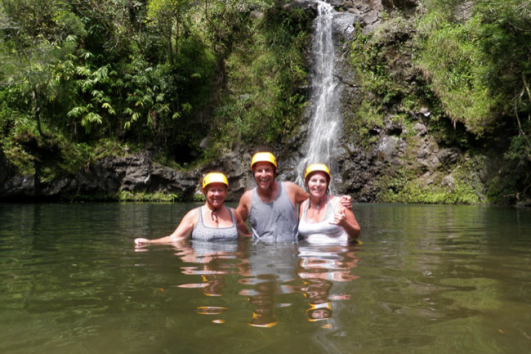 After reaching your main destination, a 26-acre Maui botanical garden, you will get suited up and start your lesson in canyoneering. 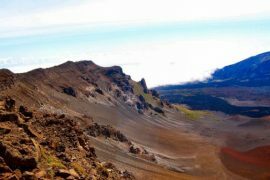 The first rappel is just a short hike away. Your first rappel is down a 60-foot dry jungle wall. You will be a bit nervous on the first one, but after that, it is so incredible! 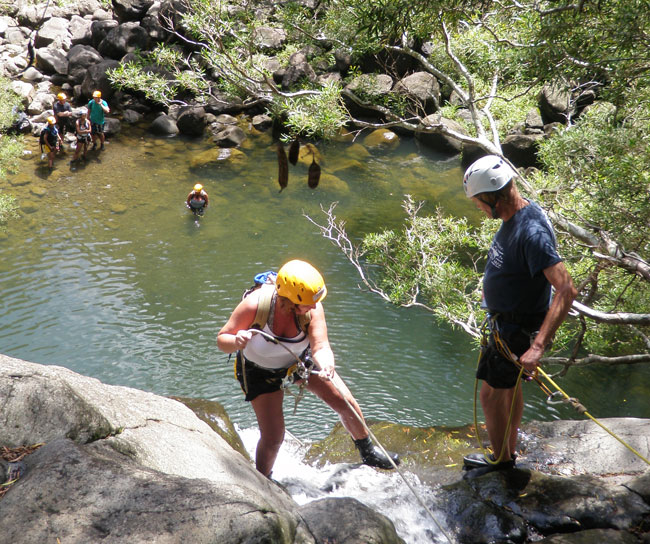 Continuing on to a 50-ft waterfall where you’ll rappel into a large freshwater pool! Then on to your third rappel, traveling a bit farther to a more challenging 30-ft waterfall. The scenery, the adventure, the whole experience is incredible. In conclusion, this will be a wonderful day in the jungles and fresh water pools of Maui. Rappel Maui has plenty of bottled water. Your Lunch is made by the Garden Gourmet Cafe within the Garden of Eden Arboretum (where you gear up for our rappels). Chefs Jon and Ya are both serious “foodies” who care so much about what they serve that they bake their own Indian naan bread (for the wraps) and they insist on fresh ingredients. Veggie: freshly-made naan bread, lettuce, tomato, cucumber, carrot, feta cheese, roasted mushrooms, zucchini, pesto, olive oil, balsamic vinegar, salt, pepper. Turkey: Everything that’s in the veggie, plus 1/4-lb. of turkey. Gluten-free or vegan substitute: nori wrap with rice and vegetables. Or, salad with veggies.Fresh fruit, usually pineapple or banana. Chocolate chip cookie without nuts. Towels, cameras, waterproof camera. They provide the rest of the gear, including backpacks. Bring a change of clothes. Men wear swim trunks or lightweight pants. Quick-drying shirt. Women: surf shorts, yoga pants or quick-drying pants. Shirt, tankini or bikini top is fine. Swimsuits are not a good idea. In the winter bring a wetsuit top, if you have one. Whatever you wear will get wet, so bring another set of clothes to change into at the end of the trip. 48-hour cancellation is required. They go rain or shine. 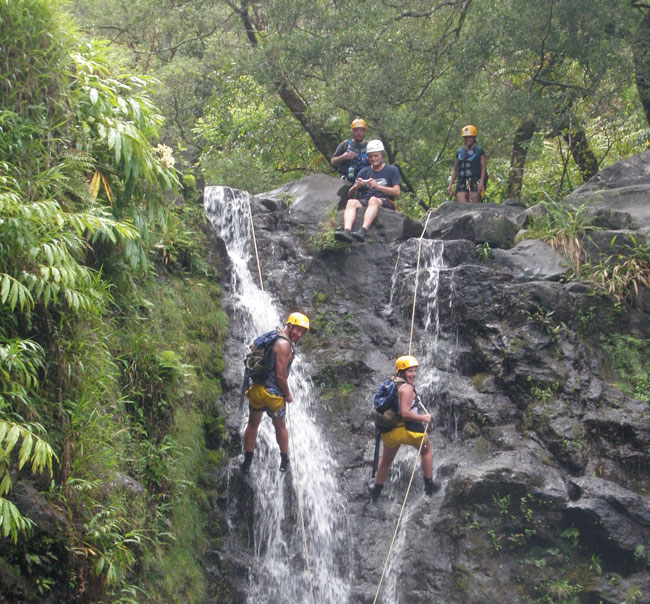 Rappelling takes place in a Rain forest. If streams are flooding, we rappel on dry cliffside drops of 60 to 145 feet. Your harness fits waist sizes from 22 to 54 inches.Weight maximum 250-pounds. Click Here for the Waiver you will be asked to sign. 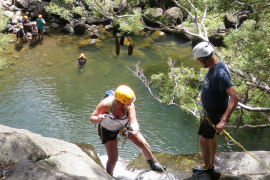 Rappel Maui reserves the right to change canyons due to weather and rain conditions. They have several canyons to reppell down in case the waterfalls have too much rain.